A few years back, people were wondering what the actual impact of climate change would be on water utilities. The answers were vague – no one really knew. But everyone knew about rising temperatures, melting glaciers, floods, droughts, extreme weather conditions, and encroaching seas. Homilies about the need to be more resilient to climate change were put forward in power point presentations. But for most water utilities, especially the ones in Asia, it was just business as usual. That might change now. The ferocious typhoons that hit the Philippines, Taiwan, Vietnam, Cambodia and Japan this year have given a good indication of what utilities are up against. Forget the weather data and hydrological records of the past – these records are being broken faster than Michael Phelps can dream of. In August, Taiwan received a whole year’s rainfall in three days. Imagine 2,900 mm of rainfall in three days – that’s what typhoon Morakot brought to Southern Taiwan! Hundreds of people went missing as entire villages were drowned in muddy water. 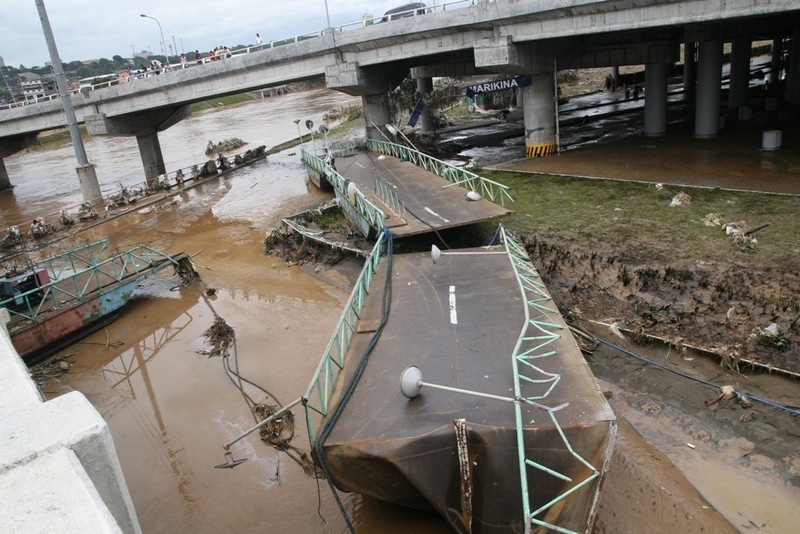 Typhoons are commonplace in Taiwan and in fact, the country is usually well-prepared. But, I wonder how many utilities in the world are prepared for 3 metres of rainfall in as many days. Meanwhile, a study in contrast would be the water utilities in Australia, which have accepted that decreasing and less reliable rainfall is a reality. “In response to a drying climate, utilities have embarked on an unprecedented capital expenditure programme, which will continue for years to come,” says the country’s National Performance Report 2007-2008. The report says there is a 41% increase in the capital expenditure and there is a focus on solutions such as desalination and recycling, which do not depend on rainfall. The total residential water supplied has decreased by 21% over the past four years despite the number of connected properties growing by over 9% during the same period, according to the report. Clearly, the utilities which prepare and test strategies for a wide range of scenarios from the lowest of lows to the highest of highs are in the best position to meet the challenges ahead. Climate change is not in some distant future. It has arrived. And it is on a record-breaking spree. The Indian Institute of Tropical Meteorology, Pune, gave statement that till 2000 the data analysed shows a 10% increase in India of sudden rains. They have also predicted that incidence of flash flood will increase in the coming years because of impact of climate change on monsoons. Andhra is facing it now. The Govt declared drought after low rainfall till Sept. but then suddenly two of its district got so much rains in just five days, that now its flood which the people have to handle. Climate is changing and that too at a very fast pace!! !